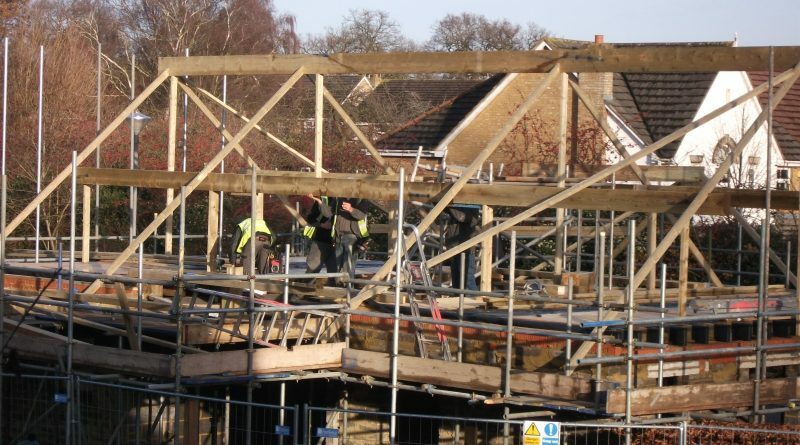 The carpenters have been hard at work this week and the roof is now starting to take shape. The skeleton of the roof and the purlins that will eventually support it are in place. Over the next week the rafters, insulation and felt will be completed and the gable ends built. We can start to see what the building will eventually look like.